European and US stocks rebounded Thursday as news that Beijing and Washington would hold trade talks overshadowed lingering worries over Turkey. Chinese officials announced they would send a senior negotiator to the United States in late August to resume trade talks, the first publicly announced meeting on the escalating dispute in weeks. US officials also confirmed the talks. Traders saw a glimmer of hope of an easing in the trade battle that has seen the two sides hit each other with reciprocal tariffs on goods worth $34 billion, although the negotiations will be between lower ranked officials than in previous cases. "The stakes are now lower, without the big brass physically present at the table," Pantheon Macroeconomics said in a note. "But in a way, this could enable the talks to proceed favorably, with lower-level officials thrashing out a deal on which higher-level talks could be based." Frankfurt, London and Paris clawed back much of their losses of more than 1.5 percent the previous day on Turkey fears and Chinese growth concerns. Wall Street stocks also enjoyed a positive session, with the Dow scoring an especially impressive 1.6 percent gain thanks in part to advances by Boeing and Caterpillar, two companies that have been seen as especially vulnerable to a US-China trade war. "Equity markets have bounced back as traders are a little less fearful about China’s slowdown as they once were," said analyst David Madden at CMC Markets UK. 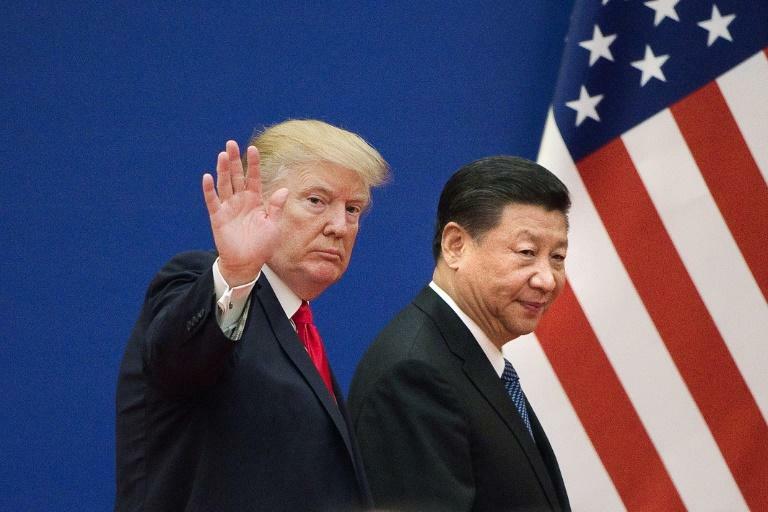 "There are still legitimate fears about China’s economy, but for now, bargain hunters are content to snap up copper, and mining stocks like Glencore, BHP Billiton and Rio Tinto," he added. Emerging market currencies staged a modest recovery after a tumultuous week for the Turkish lira, which plumbed record lows against the dollar at the start of the week following a US announcement of tariffs on Turkey. The lira has clawed back some ground in recent days as regulators cut the ability to speculate against the currency. It held onto gains on Thursday as the country's finance minister told foreign investors Turkey would emerge stronger from the crisis and has no need for an IMF bailout. But US Treasury Secretary Steve Mnuchin warned the United States would levy more sanctions on the troubled Turkish economy if Ankara did not soon release a jailed American pastor. Among individual companies, Walmart shot up more than nine percent after reporting a 4.5 percent jump in comparable sales at US stores in the second quarter, its strongest performance in more than a decade. The retail giant attributed the gains to sound implementation of its strategy to boost e-commerce ventures, as well as to strong US economic conditions. Shares in the German chemicals and pharmaceuticals giant Bayer fell 4.6 percent, rocked by media reports of new legal risks stemming from its acquisition of US seeds and pesticides maker Monsanto. The stock had fallen even more dramatically on Monday after a US jury ordered it to pay almost $290 million in damages to a dying California groundskeeper who said Monsanto's blockbuster weed killer Roundup -- whose active ingredient is glyphosate -- had caused his cancer.